Well it's that time again where I manage to find some free time and create a Chrome theme for you guys with this anonymous request for another Kagerou Days (Enemoto) theme. Well, so, here it is! Enjoy. 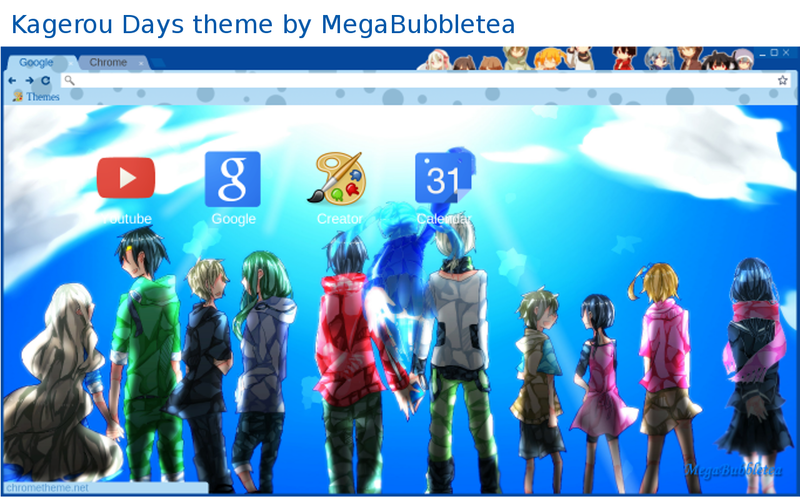 It's a cool blue suite with this amazing wallpaper of the characters featured in Kagerou Days here.